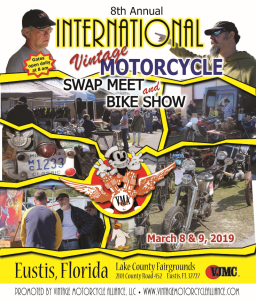 The Vintage Motorcycle Alliance and The Vintage Japanese Motorcycle Club unite to present “Destination Eustis”, an International Swap Meet and Vintage Motorcycle Show. Over the past six years the growth of this event has been exponential. It has rapidly become one of the hallmark motorcycle activities kicking off Daytona Bike Week. 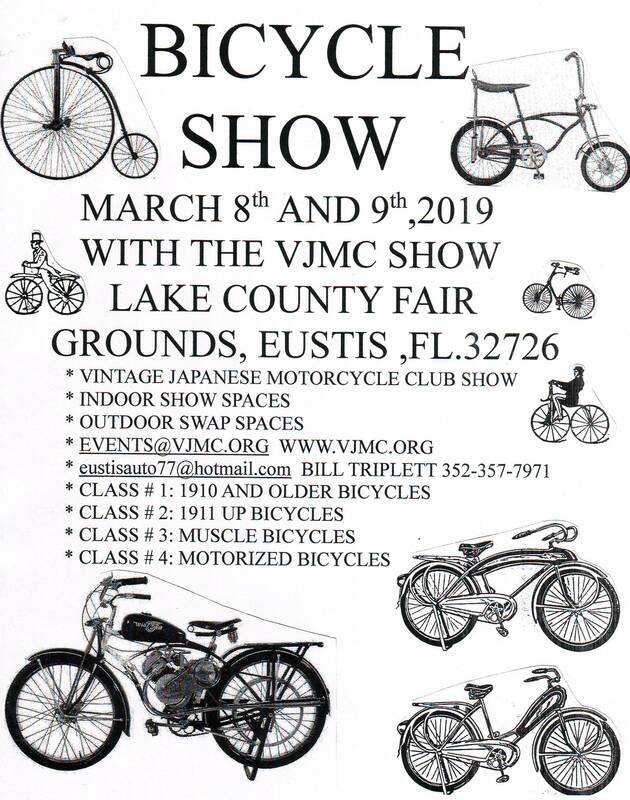 This year we have expanded our Show to include “Vintage and Antique Bicycles” They are a welcomed addition to our venue taking Destination Eustis to a whole new level – something you do not want to miss.